EN 1063: for tests on glass in the construction (security glazing). EN 1522-1523: for tests on windows, doors, shutters and blinds. 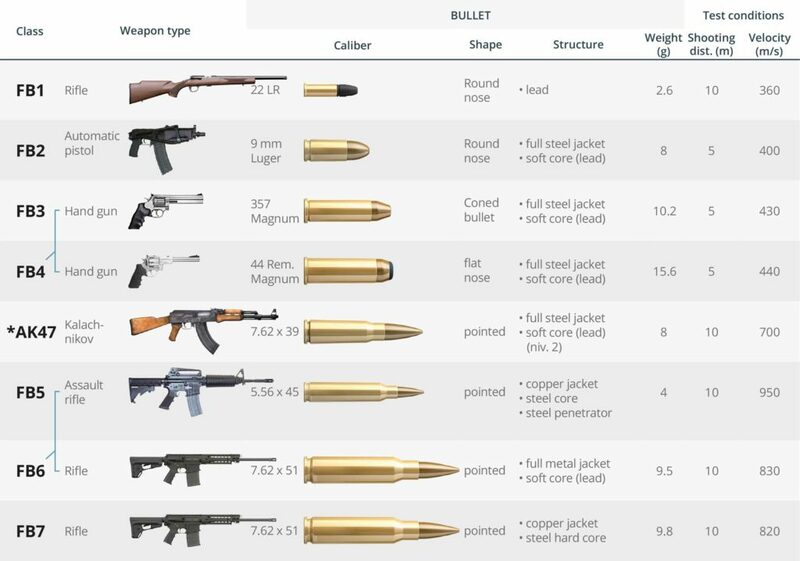 tests which are only carried out for the core of the element for standard EN 1063, additional tests that also test the joints and structures for standard EN 1522-1523.
the Laboratory of the Department of Weapons Systems and Ballistics at the Royal Military Academy in Brussels (Belgium). During EN 1063 tests, the impacts, of which there are three, are directed at the centre of the tested glazing, in such a way as to check the resistance of the element&apos;s intrinsic composition. This test also takes place for doors and windows (EN 1522-1523). In addition to this first test, standard EN 1522-1523 checks the joints between the various elements. 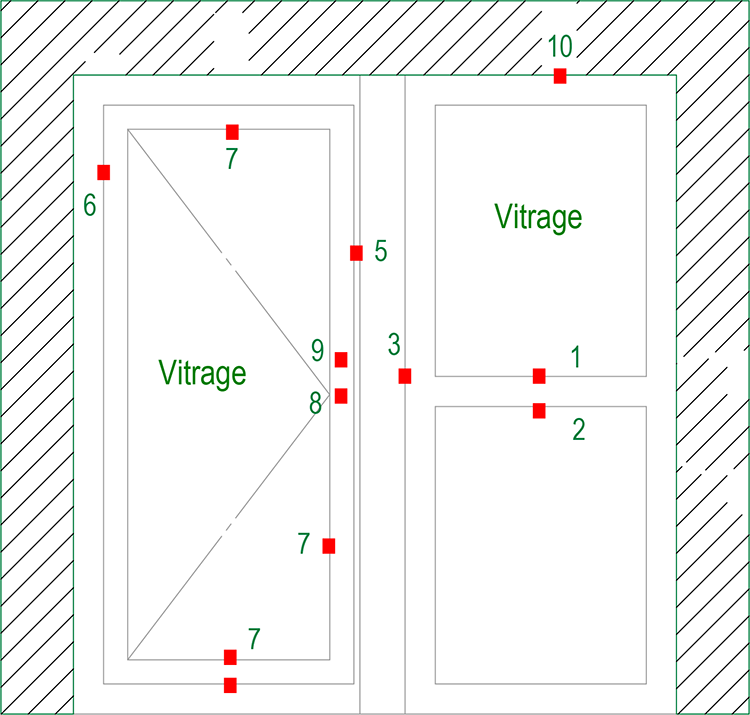 An example of completed tests with the various impact points over a sample of frames in a fixed glazed version, a fixed solid version and a hung version follows below. Each joint will be tested by 3 shots at different points (apart from the lock test and cylinder which are unique). * this point is not imposed in the standard but for the sake of coherence and rigour, we are setting this test in order to have a complete solution guaranteed to be bulletproof.